Every business wants to get their story out there—but what can they do to ensure their narrative is original, engaging, and nails all the selling points they’d like customers to know? 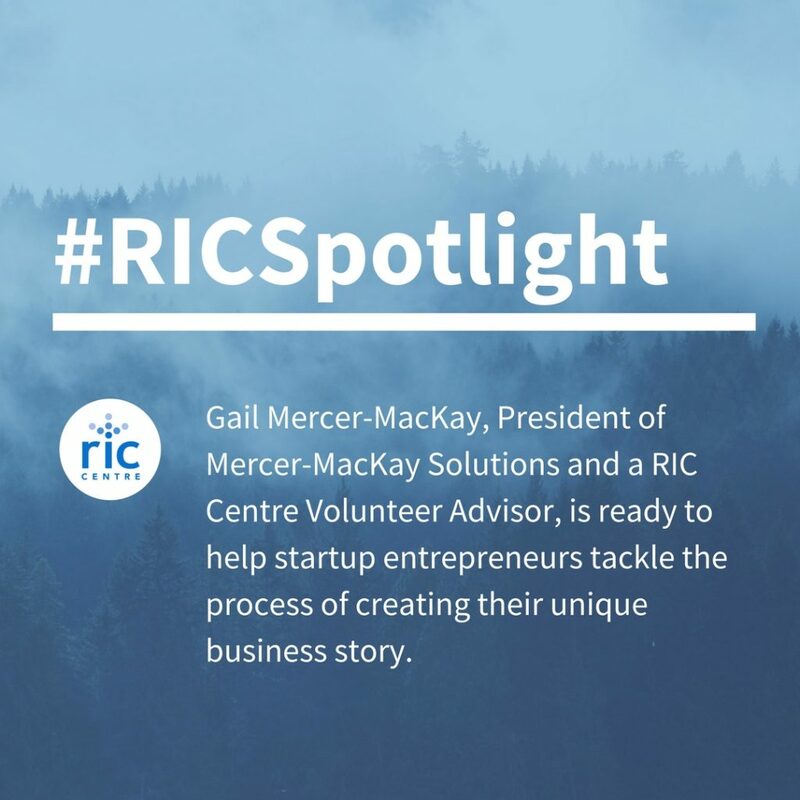 Gail Mercer-MacKay, President of Mercer-MacKay Solutions and a RIC Centre Volunteer Advisor, is ready to help startup entrepreneurs tackle the process of creating their unique business story. We spoke to one of RIC Centre’s clients who has worked with Gail; Stephen Kim, CEO and Founder of Crystallized Games. ”Through the RIC Centre, I was able to have a consultation with Gail Mercer-MacKay regarding marketing and PR with regards to the product that we were developing. She was able to add lots of insight into the landscape of social media marketing from an insiders perspective, as well as include an expert in crowdfunding marketing, which was especially helpful in vetting our crowdfund strategy.” Stephen found the experience of working with Gail tremendously helpful in providing an anchor point for his business and ensure the road-map to success was accurate and informed. Gail began volunteering four years ago with the RIC Centre. She wanted to give back and share the knowledge that others had shared with her from her thirty years of experience in the business. Gail has hosted hands-on writing workshops, helped budding entrepreneurs develop plans for their writing, and coached clients on creating their business story with the RIC Centre. Mercer-MacKay Solutions offers a diverse range of writing programs and advice on various forms of writing for businesses, including digital storytelling, content marketing, content writing, social media, visual design, personal branding, coaching, and channel/alliance development. When Gail helps clients craft their messages for their businesses, she believes storytelling is the way to engage the reader and help entrepreneurs connect with them on an emotional level. The focus on the customer is one of the most important things Gail advises startup entrepreneurs to remember when they’re looking to launch their business. Don’t forget to check out Gail’s blog for more tips and updates on freelance writing and storytelling! Looking for professional advice for your startup business? Join us on Wednesday, May 10th at our May Startup Boot Camp for more resources and opportunities for your business! Don’t forget to become a RIC Centre client today and gain access to expert advice and resources for your startup business.